You have the choice to browse in our product’s categories or to make a search by criteria. Peguet is the world reference in quality and reliability for quick links. Maillon Rapide has become the accepted brand, in many industries where material conformity certification and material composition certification is required. All Peguet quick links are CE self certified, to match the highest level of quality and conformity. 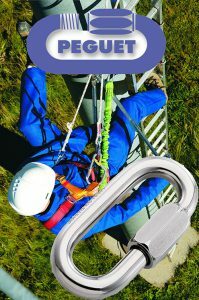 Peguet also has a range of EN 362 & EN 12275 certified quick links where fall protection certification is required. We also customize our links, to include factory applied thread lock & very specific thread de-burring, which is necessary in the parachute industry.